Reasonably-priced but I think the taste can be improved. Tried this on BKI-KUL flight. 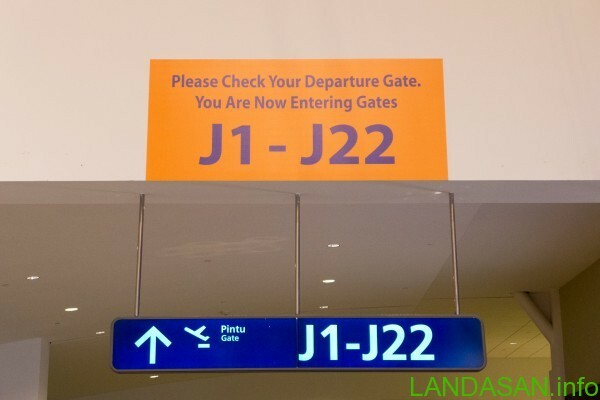 Before passengers proceed to boarding gates on Departure level (Level 3), they need to walk through an open air area. There is a dedicated smoking area, some place to sit and relax as well as some greeneries. 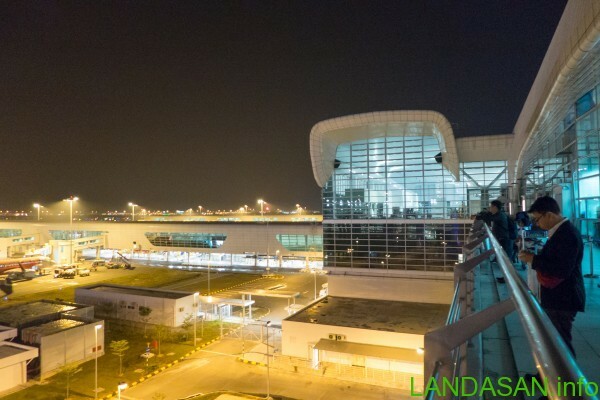 When klia2 is constructed, a new control tower is also built. It holds the record as the highest control tower in the world with height above 100 meters. A lot of AirAsia aircraft can be seen at the gates, ready for their early morning departure. This is the smoking area for klia2. Another view of AirAsia Airbus A320 aircraft. To save maintenance and training costs, they have decided to use only a single type of Aircraft, namely Airbus A320. You can dine open-air at Quizinn by Rasa food court, on Level 2. I flew AirAsia to from Kuala Lumpur to Penang on Tuesday, October 14th 2014. 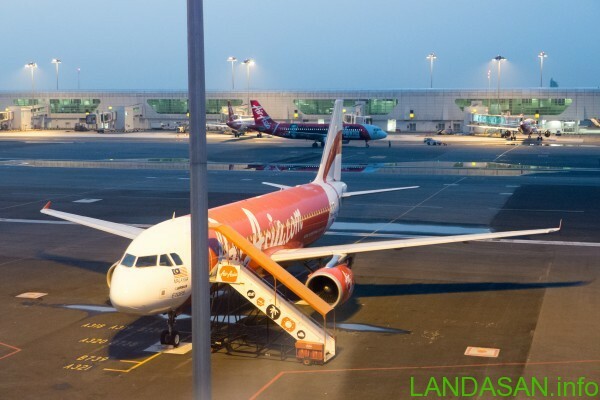 The main purpose of the trip is to take a look at the newly-launched klia2 terminal and Penang International Airport which has been renovated recently. Since it’s an early flight, I decided to come to the airport really early and spend half of my night there. I took the earliest bus available from KL Sentral, which is at 3 AM. I took Skybus, the official shuttle bus for AirAsia. Other than KL Sentral, Skybus also offer service between 1 Utama and klia2, aimed for those who want to avoid KL traffic jam or just want to buy something at the shopping mall before boarding their aircraft. It feels very much like an airport in a shopping mall rather than vice versa. There is A LOT of retail space available, making even one-day transit seems short for travelers. Homegrown restaurant chain, Melur & Thyme will be operating in klia2 real soon. For some unknown reasons, klia2 self check-in kiosks are there for months already but they have not been operating yet. The food court is now operational and they offer a good array of Malaysian delicacies. Did I tell you it comes with an affordable price too? There is also Kentucky Fried Chicken (KFC) on Level 2 and the server there is well-trained for tourists. Regardless whether I look Malaysian or not, they will greet and smile at me. There is quite a number of waitstaff in restaurants who only smile at you and treat you nice if you dress up real decent or look like tourists from Western countries. Level 2M or 2 Mezzanine is dubbed as “relaxation zone with generous space to relax and unwind. Some overnight travelers even sleep here. 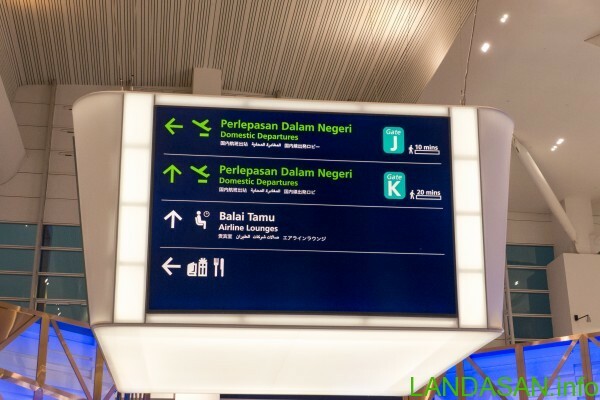 We can see most of the signages have estimated walking time displayed, enabling people who aren’t familiar with the airport to estimate their time walking to the gate. Being an airport with huge retail space, this will increase foot traffic into the shops. One more minute to departures gate. This is the end of Part 1, I will tell you more about klia2 in Part 2 soon.